Find out more about how we're working with farmers and others to provide space for farmland nature in the landscape. Join in the discussion on farming issues and share tips for wildlife-friendly farming. Launch of the Nature of Scotland Awards 2019 Are you a farmer or food business owner who’s committed to committed to nature conservation and environmental sustainability Scotland? RSPB Scotland will for a fourth year celebrate the significant contribution of the food and farming sector towards nature conservation in Scotland through the prestigious Nature of Scotland Awards. Work is underway in Wales to restore an endangered section of our countryside - the Celtic rainforest. Sophie Mott, Research intern at Hope Farm, provides an overview of the 2018 Autumn visits. Tune into Countryfile this Sunday to find out how Hope Farm uses simple solutions to tackle a landscape scale problem for winter farmland bird survival... you don't want to miss it! A new era starts at Hope Farm, with a new Farm Manager in place to oversee our continuing commitment to testing, trialling and demonstrating wildlife-friendly farming practices. Georgie Bray looks back over the progress on the farm in recent years, and her new role in taking it forward. The twite are back in town! 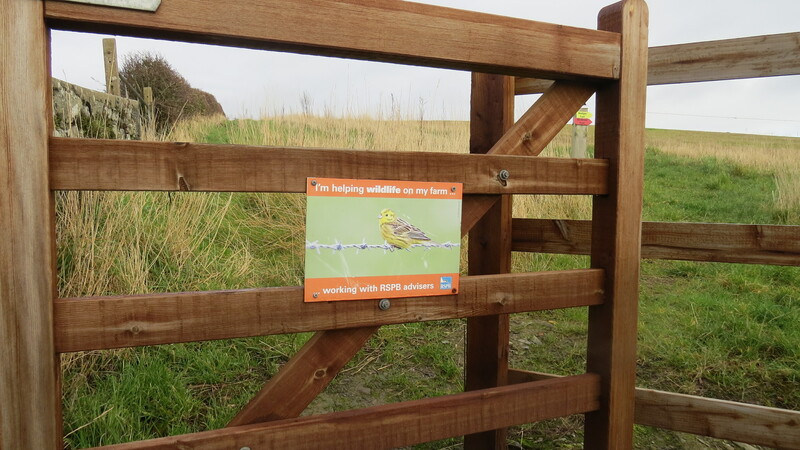 Guest blog by Seán Woods, RSPB NI’s east County Down Conservation Advisor working with over 70 farmers and landowners in and around Strangford Lough in County Down, Northern Ireland. The east County Down landscape is home to a large proportion of arable farmers with approximately 40% of farms being mixed or arable, compared to an average of 10% across Northern Ireland. Sophie Mott, Research intern at Hope Farm, provides the 2018 results of the butterfly and bee monitoring season. This week, the Government’s new Agriculture Bill will get its second reading in the Commons. As the first opportunity for MPs to debate the Bill, and all that it means for farming, food and the environment, this is a crucial milestone. As conservationists, we’re sometimes accused of being hyperbolic, evoking the threat of ecosystem collapse in every tweet, blog or magazine article. A Scottish Government consultation on a transition to a new rural policy closed last week. The theme was ‘Stability and Simplicity’, setting out plans to make the next few years as smooth as possible for land managers and rural businesses as we transition to a new system post-Brexit. Blog post by Derek Gruar, Senior Research Assistant, RSPB Centre for Conservation Science and Georgie Bray, Hope Farm's Assistant Manager. At this time of year, as the nation’s attention shifts to summer holidays and farmers across the country are busy with harvest, it’s hard to keep focused on forthcoming pieces of legislation and parliamentary procedure – but we must. A group of Welsh dairy farmers have recently started a project working with conservation organisations to find out how they can do more for wildlife on their farms.